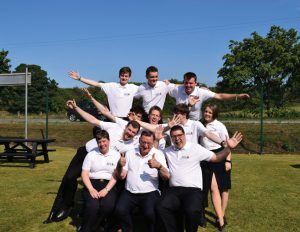 The first KGVI week took place at Newport from 21 - 27 July 2018 in glorious summer weather. It was a real privilege to have the young people at Newport bringing much laughter, fun and encouragement with them. We pray that this is the beginning of a long legacy at the Newport Training, Conference and Residential Centre. Congratulations to the new BB Leaders (pictured) who completed their second year. It was a great honour to have Brigade President Lord Griffiths of Bury Port visit Newport to spend time with the young people, tutors and staff.